What is Pride and Why Does it Matter? Since 1969, when the first LGBT demonstrators fought against police who raided the Stonewall Inn in New York City, LGBT groups have taken to organizing gay pride events towards the end of June as a way to remember these events, and also to celebrate the community that has grown throughout the years. Gay pride month all around the world looks to visibilize the gay community, represent all colors in the rainbow and the common thread of diversity that brings everyone together, as well as keep demanding progress of gay rights all across the world. Many cities around the world have pride parades and festivals during the month of June to remember the Stonewall Riots and to celebrate diversity, visibility and inclusion in their local communities. These are only a few of the pride celebrations around the world, but there are many more. Check them out, the one in your city might just be coming up! 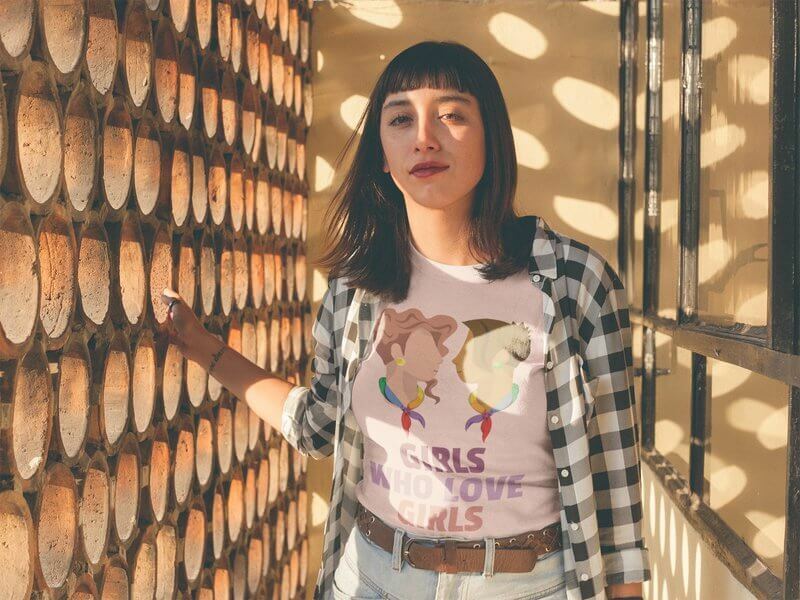 Wearing LGBT t-shirts is a great way to show your support to your community and get other people involved in supporting a cause near to your heart. Pride is the perfect moment to scream loud and proud that the gay community isn’t going anywhere. With many designs to choose from, these design templates were created with important symbols in mind (btw, are we missing any? Drop us a line and let us know!). people attended NYC Pride in 2016? Making a t-shirt design with Placeit is super easy! 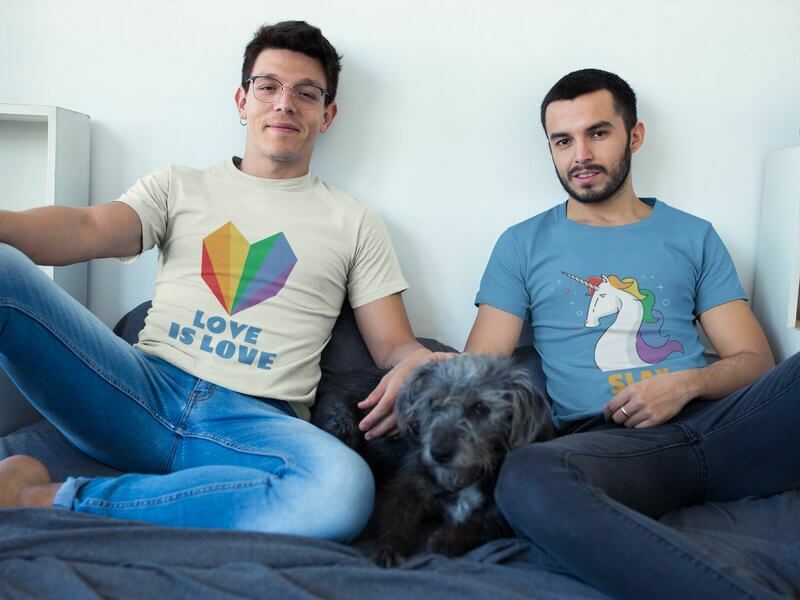 Choose from thousands of high­-quality graphics, you can use our LGBT t-shirt template or any other that works to display your message! Customize fonts, colors, graphics to get your dream design in just a few seconds. Watch the video below for a step-by-step guide on how to use design templates at its fullest. Making t-shirt mockups is a practical way to display your designs in your store, on social media or in promotional materials. Placeit’s mockups are shot by pro photographers with diverse models, in all types of settings, so you’ll probably find what you’re looking for! Using t-shirt mockups (ore even some tank top mockups, it’s June after all!) is as easy as dropping a transparent PNG file on the mockup of your choice. No need to use Photoshop or any other design software. 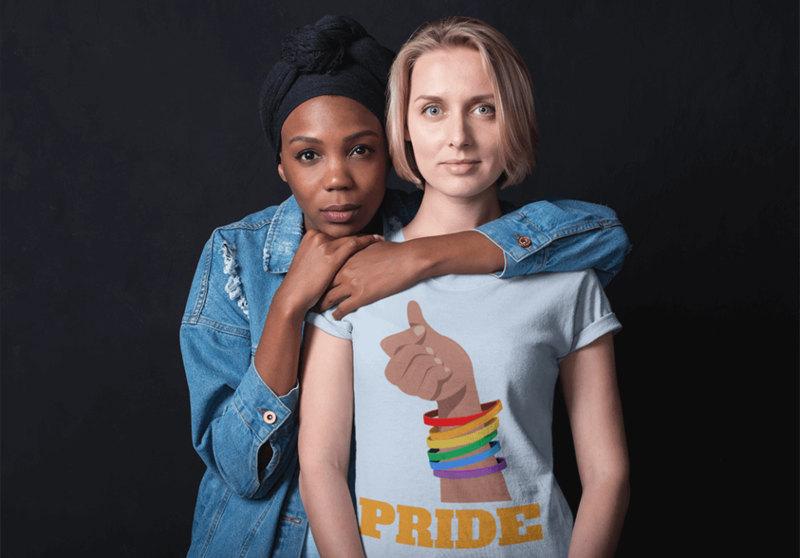 Being a part of Pride is more than just being a part of the celebration, it’s stading up for what you believe in and showing your support to your community and making a t-shirt is a small, but meaningful way to make your voice heard! 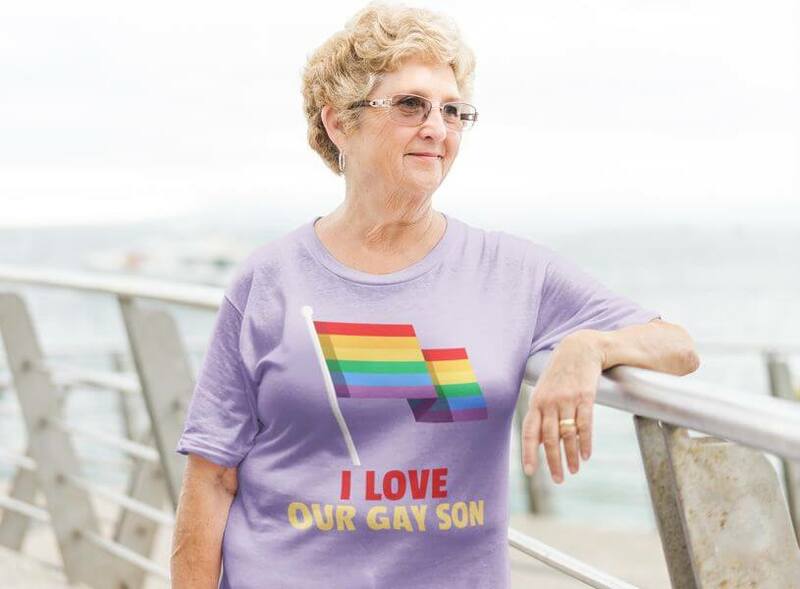 We live in an era where more and more people feel that they can love who they love and be who they are without having to hide behind closets and age old norms, so this month, scream loud, remember those who fought for equality, and show them how proud you are of who you are! 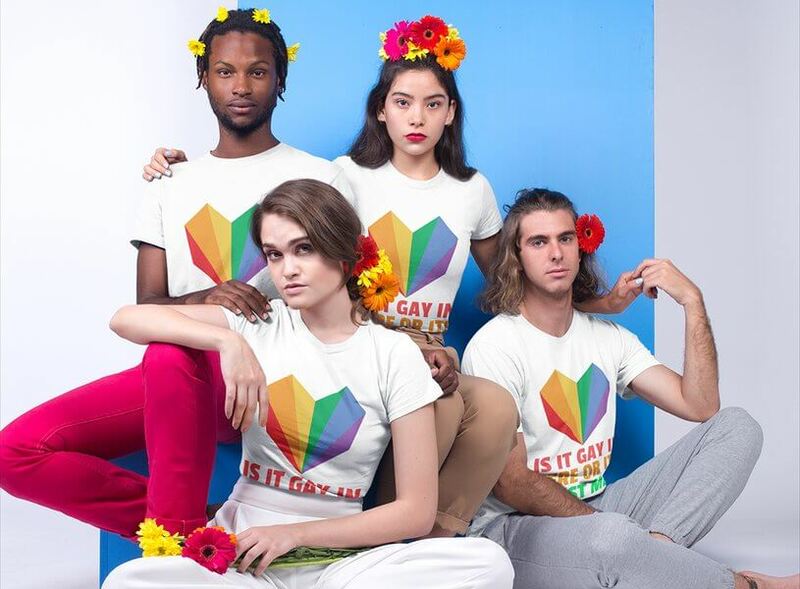 Make an LGBT T-Shirt Now! "Making a shirt design with Placeit is really easy and there are tons of graphics to choose from!"